It's Back! 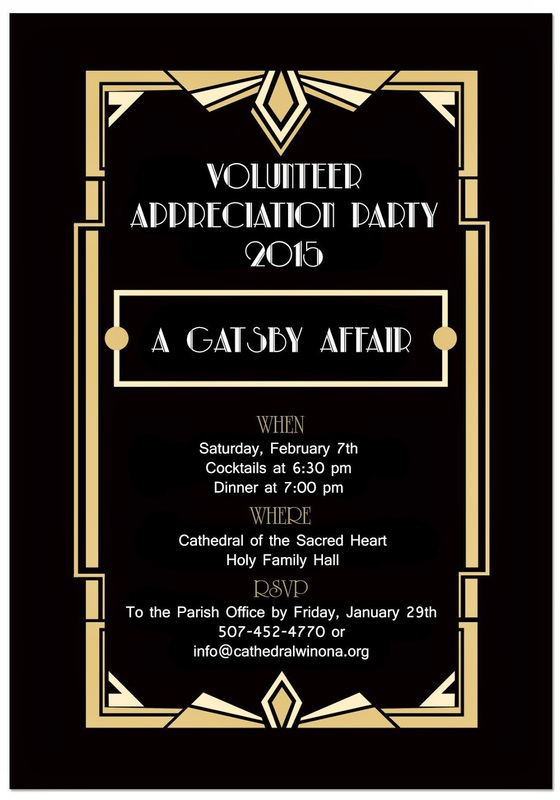 Our popular annual Volunteer Appreciation Party will be taking place on February 7th at Cathedral. If you are a minister or a volunteer in our parish cluster (Cathedral, St. Casimir, or the Newman Center) we cordially invite YOU and your family to join us for food, camaraderie, and dancing! We got close to our capacity last year, so due to space limitations, we will only be able to take the first 250 people who RSVP. RSVP's must be into the office no later than Friday, January 29th so we can plan the food and drinks. Want to help out? We're looking for kitchen help, decoration/set-up help, and help with clean-up afterward. Please contact Kristin in the parish office if you're interested!